https://steamcdn-a.akamaihd.net/steamcommunity/public/images/clans/33517612/2e5a2a1ca98a2442aa7637c889ffd40427eb2ee5.png Serenade of the Sirens (SOTS) is finally widescreen! This gives Seika much more horizontal visibility. There is also a new title screen as well as changes to the background and tile colors. Hey everyone! 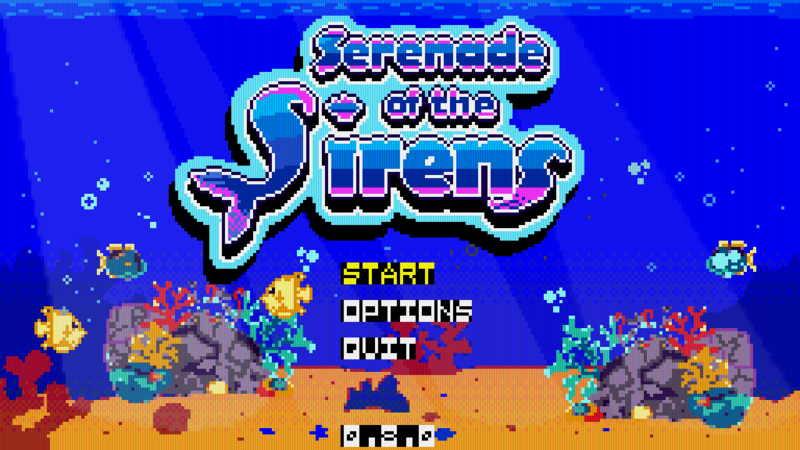 Here is another update for Serenade of the Sirens. The most notable change is Seika’s main attack changing from a close ranged attack to a projectile. I believe this change aligns more with the direction that the game is heading in. I would like to also make a note that due to upcoming updates, which includes newly added and updated enemies, levels, items, and end game powerups, there will be at least one save file wipe. I will go in more detail in a future post. Hello everyone! 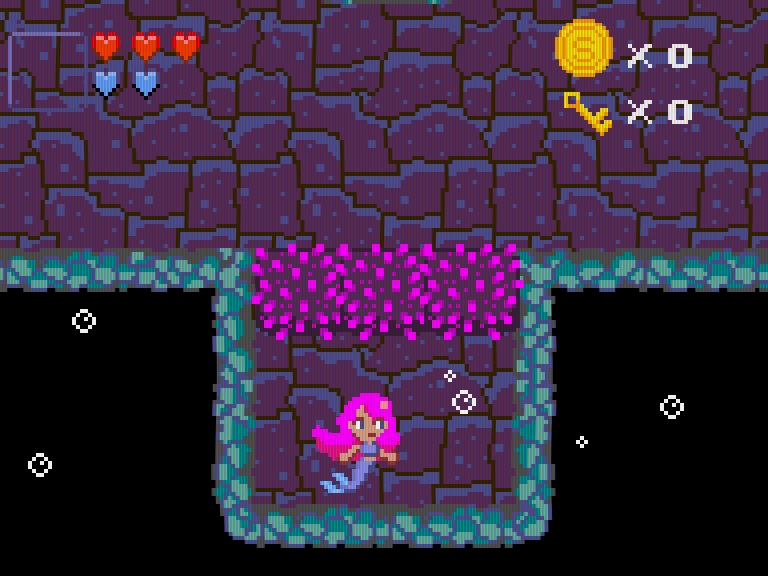 Pushing an update to add changes to the level backgrounds, tiles, and coin sprites. I also made changes to the amount of areas in the beginning part of the game. The next series of updates will focus on polishing and tweaking the existing elements of the game. I also have additional content mapped out for the future, stay tuned! Small update including tweaks to level generation and coins now representing in game currency. I'm almost to the place where I want to be before adding more content. I'll give more details in future updates. Happy New Years everyone! With a new year comes a new path for Serenade of the Sirens! 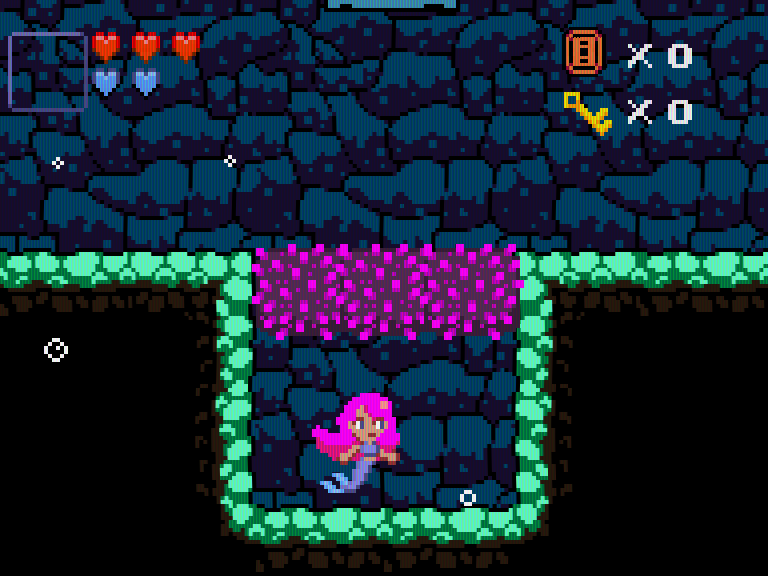 Pushing out a new update to lay down the foundation for multiple paths throughout the underwater caves. The cave paths are currently linear but that will change in the near future. Included in this is update is the addition of persistent levels and the removal of the level timer. Stages now take slightly longer to generate, but I will fix that in future updates. Also, I felt that the level timer didn’t align with my vision for the game so I’m removing it. Last but not least I’m disabling in level events until there are better integrated with the new procedural generation system. While I was working on changes to the way levels are procedurally generated, I ran across a bug that I can’t believe I didn’t catch. The size of the levels weren’t calculated correctly! I’m continuing to work on 0.7.x but in the mean time I’ve pushed an update to fix level sizes. Another change includes a slight delay to the enemy shark’s attack. 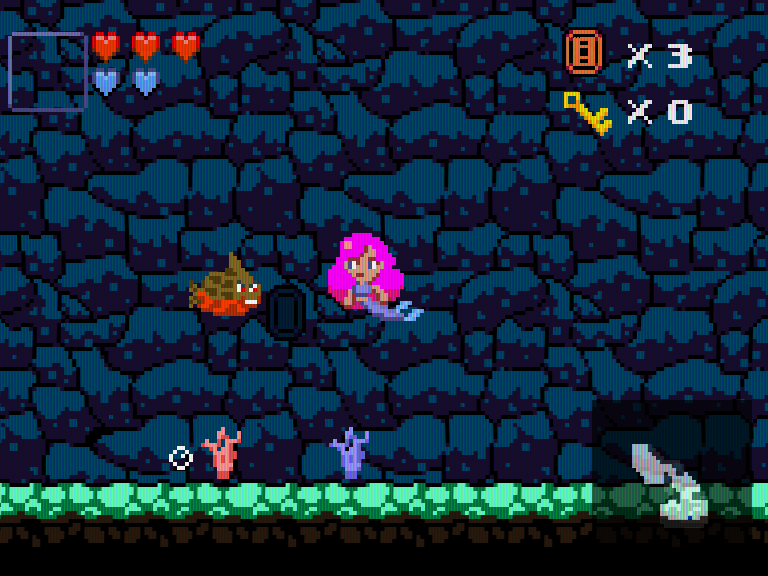 Added 5 new items, a new ability, and updated the sprite for ghost piranha. So I've been taking some time to plan out and redesign a few things. On the backend I've been testing out new content and will add more once 0.7.x is released. In the mean time, I thought it would be a good idea to patch 0.6.x since I've fixed a few bugs and added a few changes. In 0.6.8 Seika starts with a chargeable projectile attack. Previously the harp item gave Seika the projectile ability, but I thought it would be better to be in inherent ability instead and have the harp argument the charge speed. I've also added a new dash attack for Seika. This mechanic isn't fully complete as I'll add more tie ins to it as well as an introduction to how it works in game. I won't advertise it until it's complete, but you can test it by dashing against an enemy an hitting the dash/dodge button again. This also recharges Seika's projectile attack. Other than that, I've been doing some refactoring. I've stumbled across a few bugs and fixed those as well. New items and content will be in 0.7.x before Christmas! Implemented random level events. These events happen infrequently at the beginning of Seika starting a new level. I will add additional events and tweak how it's currently working in future builds. There are also a bunch of minor bug fixes in 0.6.7. Small update to add a flash to the electric eel enemy to make the attack more telegraphed. Also fixing bugs related to Seika's animation and the in game shop. Added descriptions to end game power ups and outlines to objects Seika can interact with.